Chevrolet (in the US also informally Chevy) - a brand of American automobiles, produced and sold the same name economically independent division of the corporation General Motors. Headquartered in Warren, a suburb north of Detroit (Michigan). At the dawn of the automotive industry often new models of cars bore the names of their creators. It happened with the Chevrolet brand. Swiss Louis Joseph Chevrolet (1878-1941) was a famous racing driver and mechanic, but was never the owner of the company, which bore his name. Louis Chevrolet was one of seven children of the poor watchmaker in the Swiss town of La Chaux-de-Fond. At that time, when he was 10 years old, his family, in search of better lives, moved to France, where a clever boy was able to finish high school, then got a job in a car company "Mors". There he became interested in cars all his life, and became an official race driver this company. Virtually none of the sports of that time did not do without participation of "Morse". Behind the wheel of one of which is always seated Louis Chevrolet. Having good skills in the automotive and sports, he, along with his brothers Arthur and Gaston, he went to Canada, and in 1900 - in the United States. Here he began his activities as a representative in the United States of the French Automobile "De Dion Bouton". However, it more than the automotive business, took the race. For five consecutive years, Louis participated in all local competitions, while in 1905 has not achieved the right to speak to an American millionaire Vanderbilt Cup. But here he was not lucky - in the seventh round of its "Fiat" crashed. However bold and decisive driver drew the attention of industry bigwigs America. Among them was William Durant, brought together by the time a number of different automotive companies under the guise of "General Motors". In 1909, Durant invited Louis Chevrolet and his brother Arthur to become a proprietary drivers "Buick". Those gladly agreed. But the place was only one, and because competition was arranged for the brothers. In road racing defeated Louis, then the star of his glory beginning to rise at an unprecedented rate. In 1909 he wins just three important victories and 11 takes pride of place in the competition for the Vanderbilt Cup. Before World War I he was a cohort of the best racers of America. Louis Joseph Chevrolet. Enterprising W. Durant decided to do business on behalf of the famous athlete. In 1911, he proposed to Louis's time to leave the race and to start producing his own car, and he agreed to it. new car project developed by experts of "General Motors", William Durant has invested a lot of money into the project, and Chevrolet has given the car its name, already well-known to most Americans. It served as a guarantee of future success. The birth of Chevrolet Motor Cars in Detroit in 1911, had not the best period of the existence of General Motors. Its head - William Durant - put it on the brink of bankruptcy, hastily buying up loss-making car company. In addition, he began to lose money on the stock exchange speculation in securities, why was forced to go cap in hand to the bankers. Those promised to invest in General Motors $ 15 million, but with one condition - William Durant should resign as its leader. However, he did not leave hope again take the reins of the company in their own hands. To achieve this goal it was necessary, and Louis Chevrolet - known at the time racer. Forming a new company and flooding the market with cheap and popular car brand Chevrolet, William Durant has earned a lot of money and decided, no less, to join car giant General Motors to the tiny Chevrolet. And he did it! William Durant was able to buy a controlling stake in General Motors and sat back in his chair Chairman of the Board. 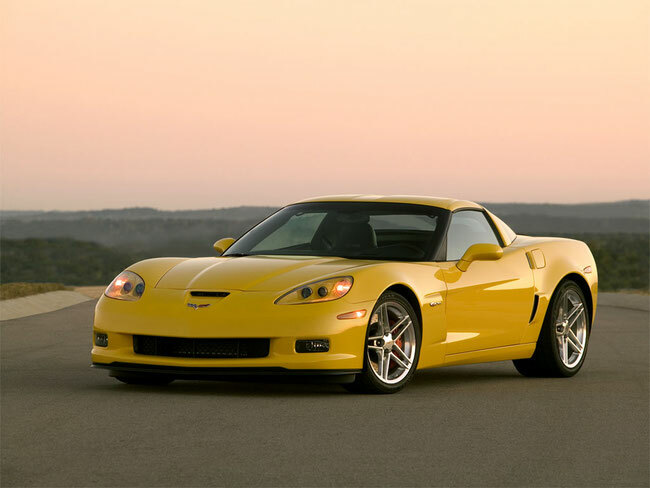 Company Chevrolet became part of the group, and its cars have become the main products of the auto giant. Some said that he made the first car brand Chevrolet almost alone, while others claimed that he had developed a general concept of the new car. Such was the case, anyway, but the first Chevrolet Classic-Six was born on October 3, 1911. It was a traditional American four-seater with a 6-cylinder engine producing 30 horsepower. But the price of the first-born - $ 2,500 - was unreasonable for the buyer, and so he had no success. The popular then Ford-T was worth five times cheaper. W. Durant realized that the key to success lies not in the luxurious car, but in its simplicity and cheapness. He walked away from the production of luxury models and began to produce low-cost 4-cylinder cars - open cars "Baby" and sport "Royal Mail". In 1916, on their base was established Chevrolet-490, which brought the company great fame. These cheap, but reliable machines have become as popular as "Fords". They were 4-cylinder engines of 2.8 liters. The machine was so successful, that was produced until 1922, and gave birth to no less famous "Superior" model, which existed until 1927. On the Chevrolet-490 was a simple 3-speed gearbox, the two rigid axle suspended on leaf springs. As in the "Ford", everything was simplified to the limit, but these machines have electric lights and a starter, which was then a rarity, even for expensive cars. It is with the 490-th model and started Chevrolet company specialized in cheap and simple cars that brought her worldwide fame. 1928 The appearance of the model "International Six", also known under the symbol "AV". 1933 appearance of "Master" model. 1949 The emergence of new models of "Special" and "De Luxe". 1950 The company started to use in their models of automatic transmissions. 1953 Launch of the US first production sports car "Corvette". 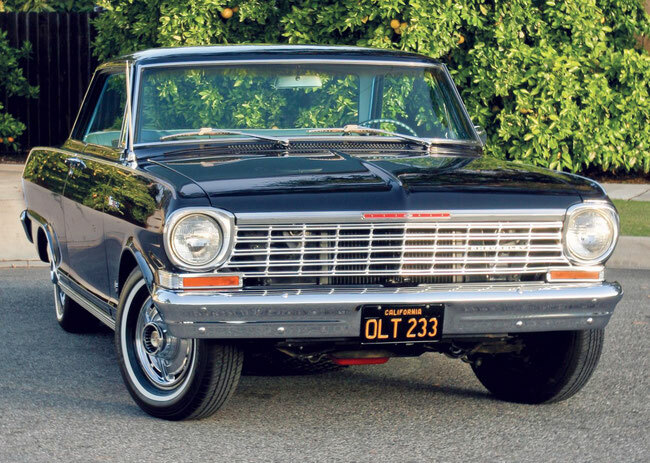 In the mid 50's the company's sales amounted to 50 percent of the US market. 1958 has introduced a new "Biscayne" model, "Bel Air" and "Impala". 1960 The company prepared a compact "Corvair" model. 1961 First show "Chevi 11" model. 1963 Start of production "Chevelle" model. 1966 Issue sport "Camaro" model. 1969 appearance of "Monte Carlo" model. 1970 Start of manufacture smaller cars. The emergence of "Vega" model. 1974 Start of production of "Monza". 1979 The company began to produce front-wheel drive cars with transversely located powertrains. The first model is "Sitation" became in this series. 1981 Presentation of "Cavallier" model. 1984 Start of manufacture of the new generation model of "Corvette". 1987 The first show of "Lumina" model. 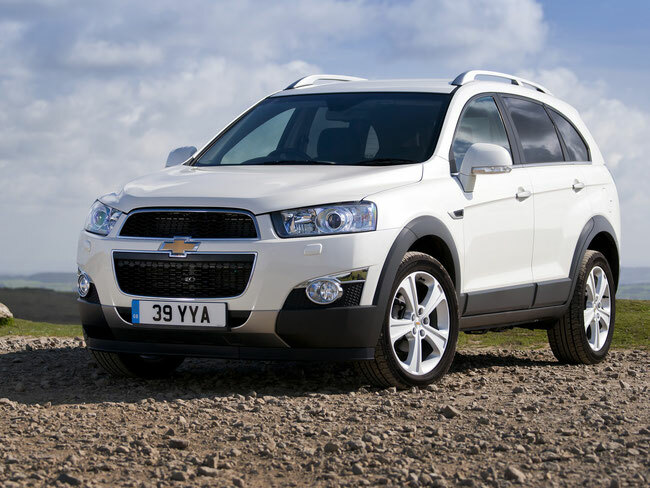 General Motors Chevrolet has consistently adhered to the strategy of positioning as an affordable brand for developed markets and as a mass brand - developing. In September 2002, the South Korean firm Daewoo officially came under the jurisdiction of General Motors, changing its name to GM Daewoo Auto & Technology Co. Today the brand Daewoo exists only because of the cars produced in Uzbekistan at the factory Uz-Daewoo, which has remained outside of the newly created company. 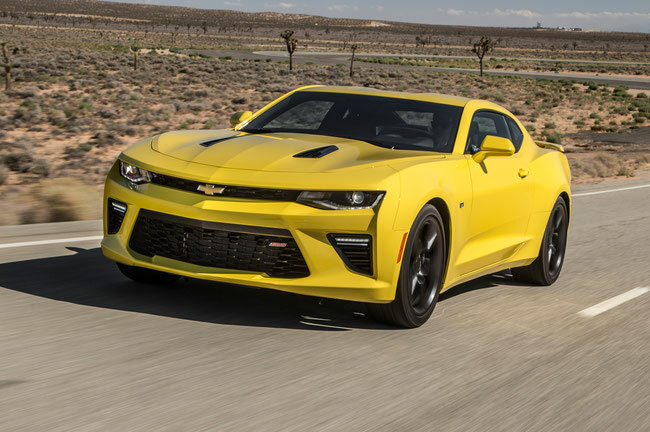 All the other cars of the Korean company is now produced under the brand Chevrolet Dat. Thus, the history of cars Chevrolet Aveo, Lacetti, Evanda - is the story of the South Korean company Daewoo Motor Co., Ltd. In 1972, the Korean government legislated right to engage in car production for the four companies - Kia, Hyundai Motor, Asia Motors and Shinjin. Then merged companies Kia and Asia Motors. new Korean-American joint venture under the name of Daewoo Motors was established in 1983. Its founders - Daewoo Corporation and Concern General Motors. The first model of the brand has become a Le Mans, built on the basis of the first generation Opel Kadett E. In the local market the car known as Daewoo Racer. In Russia first appeared in 1993, immediately becoming the most popular in the domestic passenger car market among the new cars. Pretty young dynamic company Daewoo until the 1990s began working with General Motors, and in 1992 became a separate company within the industrial group Daewoo. In 1995 the company Daewoo has appeared on the German market with models of small class Nexia and Espero - average. Daewoo Nexia (previously sold under the name Le Mans) is the latest generation Opel Kadett E. After another modernization in March 1995, the model was renamed the Nexia (Cielo for Korea). And soon the assembly was transferred to Daewoo affiliates in various countries: Uz-Daewoo - in Uzbekistan, "Krasny Aksay" - in Russia and Rodae - in Romania. The front-drive hatchback Tico «mini» class for urban travel on the basis of Suzuki Alto was made in South Korea since 1988, since 1996 - in Uzbekistan. By early 1996, Daewoo has built three major technical centers: in Worthing (United Kingdom), near Munich (Germany) and Pulyane (Korea). The main technical manager of projects is Ulrich Betz (Ulrich Bez), former senior manager of BMW. Since 1993, the sedan produced Prince and more comfortable version Brougham on the basis laid off Opel Senator car. Espero sedan was designed by Bertone based aggregates model Opel Ascona and first introduced in 1993. In 1994 it was released model Espero, a body which has been designed in design studio Bertone chassis opelevskie Ascona model. The company has taken this year's third place in Korea to produce cars. the task of becoming the leader of the Korean autostructure was set. In late 1997, the company introduced at the IAA last three models - Lanos, Nubira and Leganza. Lanos car was developed and put into production within 30 months and cost the company $ 420 million. This is the first private company to Daewoo construction. version Lanos «Assol" was presented in Russia. Lanos was to replace the previously released Nexia model, borrowed from her suspension and steering. Daewoo Nubira - own development offices in England, design - I.D.E.A. Work on the model Nubira (in Korean "travel the world") began in 1993 and lasted 32 months. The design was developed in Worthing, and the first model, modified in the future, was presented at the end of 1994. This is a golf class car with a transverse engine and front wheel drive, come to Espero shift (produced in the Russian version is called "Orion"). Model Leganza - an attempt to produce a model of the business class. This is the most comfortable and equipped with the company's car. The basis of the design of this model is taken car body Opel Senator, modified Italian company Italdesign specialists (Russian analogue of the Korean model - "Condor"). After the Asian financial crisis of 1998, the company Daewoo has faced enormous difficulties. However, the South Korean government refused the idea to nationalize the company. For the right to purchase its struggling largest corporations in the world. As a result, GM's Daewoo has been absorbed, and the cars produced in Korea, have changed not only the brand, but also the names. Four new models under the name Chevrolet Dat: Aveo, Lacetti, Evanda and Rezzo, received the European and Russian markets, are in great demand among Russian consumers, and demand, experts predict that promises to grow steadily. Chevrolet Aveo has been created yet within the company under the name Daewoo Daewoo Kalos (Kalos in Greek "beautiful"). However, the concern General Motors has decided to change the name. Another vehicle of the brand Chevrolet Evanda previously was called Daewoo Magus. Magus was conceived as a successor to the fairly widespread we Leganza model. Since the funding has not been spoiled by the engineers, we had to go through an evolutionary, that is, to improve the already existing platform Leganza given the fact that the new car is a bit larger. Styling was commissioned by the famous studio Italdesign, in recent years, is responsible for the design of many cars of the brand Daewoo. 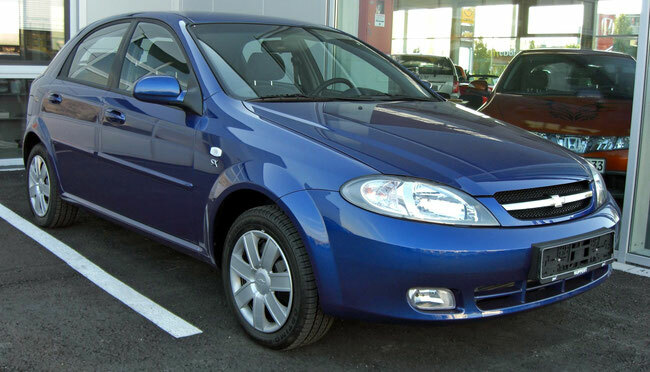 Chevrolet Lacetti in fact a symbiosis of the two models of Daewoo - Lacetti and Nubira last generation. The model with a body "versatile" is just Nubira, a sedan and five-door hatchback - Lacetti. In 2005, it begins mass production of the new model generation Matiz - Chevrolet Spark, the official European premiere of which took place in early 2005 in the framework of the Geneva Motor Show. The appearance of a new generation of Chevrolet Spark developed studio Italdesign. From Spark predecessor differ mainly intricate headlights, chrome décor and an entirely new interior. Cooperation Chevrolet DAT and the parent company has gradually expanded, and "native Korean 'cars in the automaker's lineup is not soon will. One of these cars would be a crossover Captiva, the machine on which the platform will be sold around the world, and a roomy sedan Epica.